"Alaskans have an obsession with marijuana that tests over 20 percent (THC)." This fact, stated by a Marijuana Control Board member in an April 20 Anchorage Daily News story, together with unintended consequences of Alaska's legal marijuana testing and reporting system, has led to problems well beyond those described in that story. Some consequences arise from inherent limitations in the testing process. This process starts with the grower (rather than a trained, unbiased sampler, as in some other states) selecting a few marijuana buds from a harvest batch of unlimited size. Marijuana potency in a batch of buds varies considerably, both from plant to plant and across different parts of a single plant, so one small sample can never accurately represent an overall batch. Once in the test lab, the sample is visually inspected and photographed, then homogenized, weighed, extracted with solvent, diluted and assayed by liquid chromatography. Because of slight variations inevitably introduced at each step, reproducibility is at best only about plus-or-minus 5 percent of the final potency number. In other words, a sample that is determined, to the best of a lab's ability, to contain 20 percent total THC should honestly be reported as between 19 and 21 percent total THC. Current reporting practice ignores this reality, with the result that in many cases, a grower whose sample tests at 19 percent or even 18.5 percent is denied the "top-shelf" price for the entire batch for no scientifically sound reason. False precision in potency numbers misleads consumers as well. An even worse problem is that the fervor for high potency creates strong financial incentives for growers, retailers and test labs to game the system. This has been demonstrated to have happened in Colorado and Washington. Those states have taken steps to address the problem, while Alaska so far has not. Last fall, one Anchorage testing lab, Steep Hill Alaska, provided evidence that some marijuana purchased in retail stores here actually contained less THC than the labels stated — in one case, less than half as much. On the other hand, some edible marijuana products, whose THC content is limited by law to 5 milligrams per serving, were found to contain much more. The State's Alcohol and Marijuana Control Office, lacking facilities to independently confirm these results, responded simply by naming a "testing working group" of industry members and others to review the issues and make recommendations. Since the beginning of 2018, the group has held only phone-in meetings, and no draft recommendations have appeared. The group is not subject to Alaska's open meetings statute, so neither the press nor public can follow its progress. Meanwhile, there's absolutely no reason to imagine that Alaska's retail marijuana is any more accurately labeled than it was six months ago, or that it will be, six months from now. Should the general public and lawmakers care that marijuana potency numbers in Alaska can't be trusted? Yes, for several reasons. Voters approved Ballot Measure 2 in 2014 in part because of assurance from initiative backers that legal marijuana would be accurately labeled. This is especially important for medical users, who are seeking relief rather than a high. If consumers don't believe that the legal, regulated market offers added value in the form of accurate testing, they have no reason to stop purchasing their marijuana at lower cost on the unregulated "black" market, thus depriving the state of tax revenue. Tourists seeking a marijuana-friendly vacation won't be encouraged to visit by word that potency numbers here are unreliable. Alaska needs to get serious about addressing this situation. The testing working group must be opened to public scrutiny, given the leadership and resources to function effectively, and ordered to pursue the best marijuana sampling, testing, reporting and labeling practices being developed nationwide. 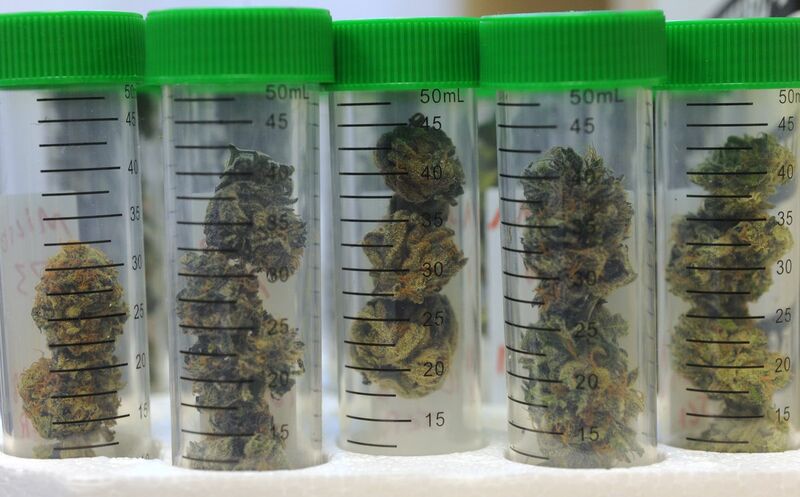 A complete solution to Alaska's marijuana mislabeling crisis will ultimately require the state to conduct its own confirmatory testing of samples. Alaska's environmental, public health and crime labs already have instruments on hand that can be set up to run quantitative cannabinoid assays. The sooner this is done, the better. Tim Hinterberger was chair of the Ballot Measure 2 campaign in 2014. He is scientific director of Steep Hill Alaska, which recently suspended operations following eviction at the behest of its landlord's lender, Wells Fargo.